Fatal doses of heroin, fentanyl and carfentanil The world hardly needs a more efficient way to make fentanyl. The last thing the world needs is a list of analogs and the procedures to make them so strong they make fentanyl look like bubble gum. Sadly a published paper gives us both. 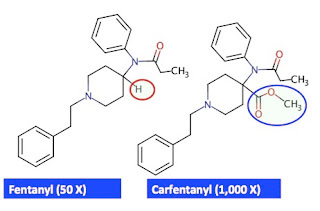 Replacing the hydrogen atom (red circle) in fentanyl with what is called a carbomethoxy group (blue circle), you now have carfentanil, which is 20 times more potent than fentanyl and 1000 times more than morphine. A lethal dose of fentanyl is about one milligram, so a lethal dose of carfentanil would be 50 micrograms. One poppy seed weighs about 0.3 milligrams. So a lethal dose of carfentanil would be approximately one-sixth the weight of a poppy seed. 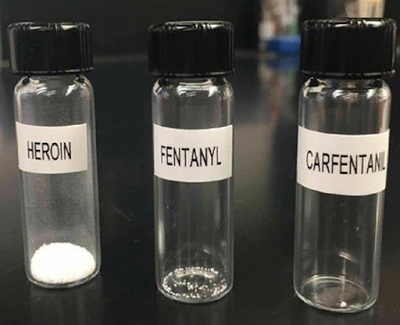 But even carfentanil isn't even the most potent fentanyl analog out there. That 'honor' belongs to a derivative called ohmefentanyl. 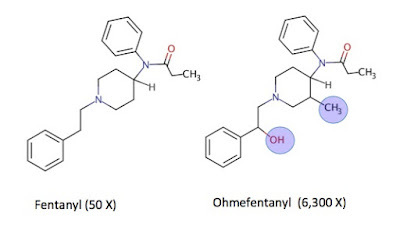 Two simple modifications ... the addition of one methyl group and one hydroxyl group (blue circles)— makes the molecule 6.3 times more potent than carfentanil, 126 times more than fentanyl, and 6,300 times more than morphine. The estimated lethal dose of ohmefentanyl is 0.16 micrograms, which means that one poppy seed's worth (300 micrograms) of ohmefentanyl is enough to kill 1900 people. One ounce (28 grams, 28,000,000 micrograms) would be enough to kill 175 million people. But organic synthesis has also been responsible for Taxol, a very important cancer drug that treats ovarian and other cancers. 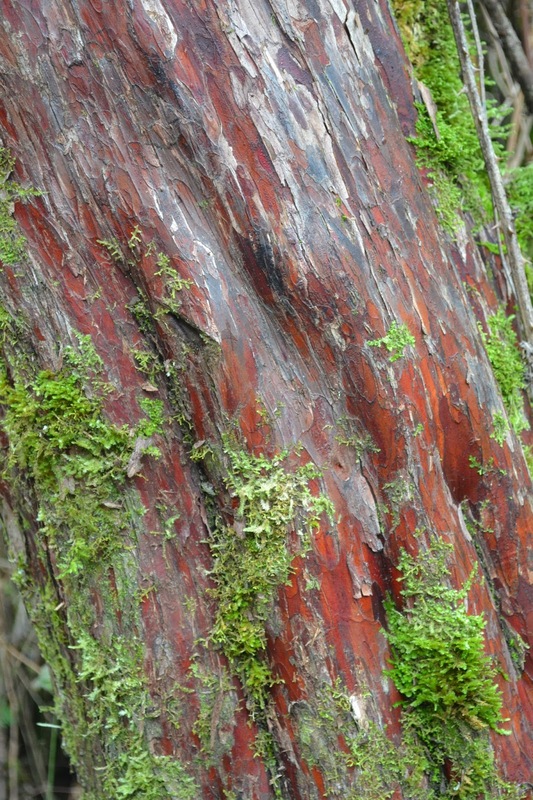 The natural source, the bark of the Pacific yew tree could never provide enough of the drug. But chemists figured out a way to make it. 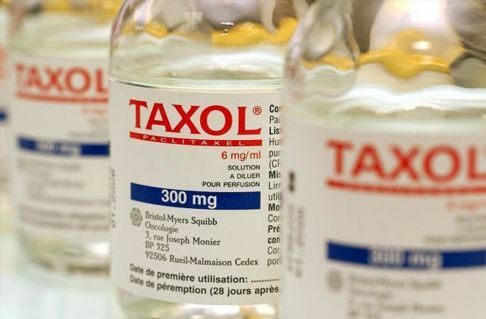 Without this important advance, a drug that has saved many thousands of lives would not be available today. Such is the power of synthetic organic chemistry.